Ray Andrewsen, general manager of WQUN-AM 1220. Photo by John Hassett/Quinnipiac University. Ray Andrewsen of North Haven, general manager and morning host of WQUN-AM 1220, Quinnipiac University’s community radio station, will receive the Citizen of the Year Award, which is part of the Hamden Community Service Awards, on Saturday, Feb. 25, at 6 p.m. at the Hamden Elks Lodge, 175 School Street, Hamden. In addition, Superintendent of Apparatus Jim LaFond will be awarded the Firefighter of the Year Award and Patrol Officer Robert O’Neill will receive the Police Officer of the Year Award. A native of North Haven, Andrewsen has a bachelor’s degree from Syracuse University. He has worked at WQUN for 20 years, during which time he has conducted thousands of interviews with community leaders and people of interest. The station has won numerous awards for news coverage and community service. In the past year, the station provided publicity for more than 400 community organizations and businesses. In addition to his role at WQUN, Andrewsen also is active in the community. 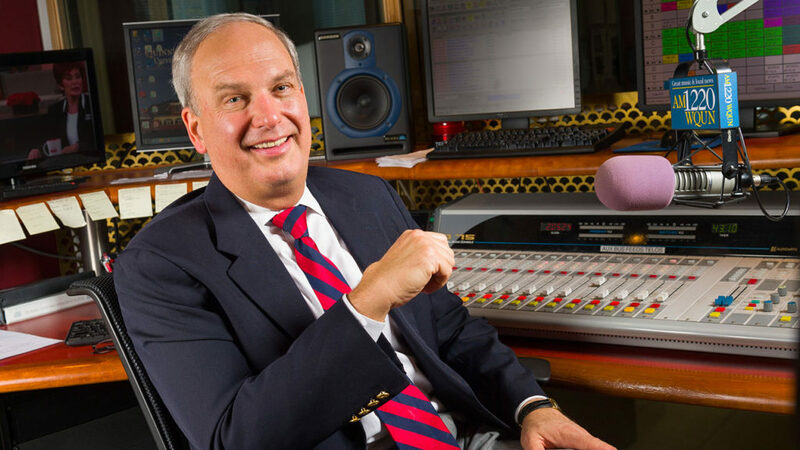 He serves as a member of the Hamden Juvenile Review Board; the board of directors of the Hamden Regional Chamber of Commerce and hosts its Friday morning Marketplace program on WQUN; and the board of directors of the Connecticut Broadcasters Association. He also is president of the advisory board for the Salvation Army of New Haven. Andrewsen also is a graduate of the FBI New Haven Bureau Citizens Academy program and is an active member of Spring Glen Church, where he serves on the board of deacons. He has been a longtime member of the board of directors for Christian Community Action, Schooner Inc., and Interfaith Volunteer Care Givers. He has also served as assistant coach for North Haven American Legion Baseball. Andrewsen and his wife Lynn have two sons, Christian and Chandler.